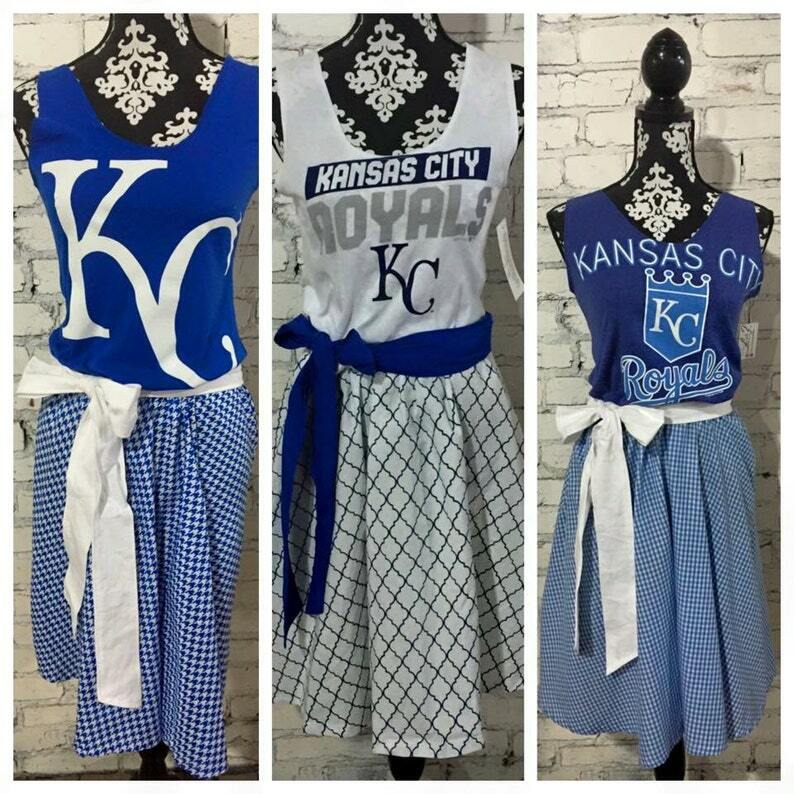 Game day spirit dresses are perfect for tailgate parties or showing a little team pride everyday. They are super comfortable, made from team t-shirt and cotton fabric print for the skirt. Elastic at the waist makes the dress fit perfectly, even after a few hot dogs :). You can pick from several top styles (tank, halter, strapless) and a separate sash is included. *This listing is for a custom made to order dress. You can message me with your preferences for skirt print and shirt choice, but please be aware I may not be able to get the exact same thing that I have used before. I will do my very best to get something similar. If you want to provide you own shirt, please use coupon MYOWNSHIRT for $15 off. I will send you my address after payment. This dress is can be made to your measurements. Please provide measurements from around chest where dress will sit, bust, waist, hips and length from armpit to bottom of hem. I will get your approval on the skirt fabric before I start the dress. There will typically be 2-3 weeks from payment to shipping. If you want your item by a specific date, there is also an option of a $10 rush fee to be moved to the top of the list and the option for a shipping upgrade as well. First, the dress was absolutely adorable. We have "jersey day for your team" at work. I am a huge Viking fan. I recieved so many compliments on my outfit. It is really my favorite dress in my wardrobe. I highly recommend this shop. I was consulted on the entire process, from picking of the t-shirt, to size/colors, and the shipping was as smooth as silk! It there were ten stars to this review, I would have given all ten!